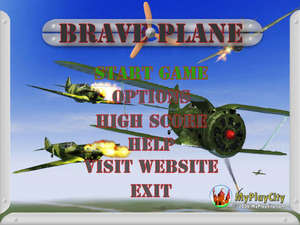 Piloting the fighting plane, free the world from air invaders in the game "Cool Plane Game". Your plane is equipped with fighting weapons and a bomber. You are entrusted with a difficult mission - to eliminate all enemy raiders and land invaders. The detachments of airplanes, helicopters, fighting airships and landing party force will attack you during the mission. Version 3.2 is a freeware program which does not have restrictions and it's free so it doesn't cost anything. For security reasons, you should also check out the Brave Plane download at LO4D.com which includes virus and malware tests. Additional screenshots of this application download may be available, too. Provides reviews, screenshots, videos and download links to the highest-rated PC simulation games. Reviews are occasionally posted by the editing staff. Check out some of the freeware downloads available in the simulation game category. They contain no strings and are available at zero cost. 4 out of 5 based on 8 ratings. Cool Plane Game has a presence on social networks.